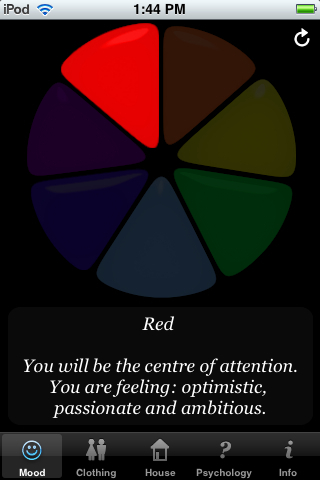 Gain insight into, and take control of your mood. 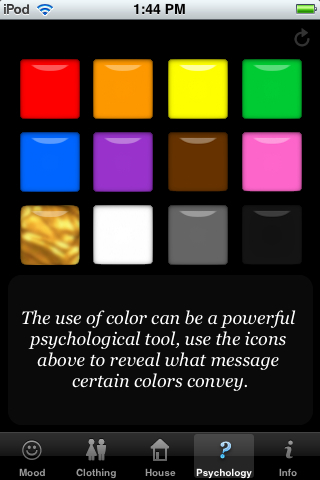 Influence the moods of those around you, through the subtle (but powerful) use of color psychology. 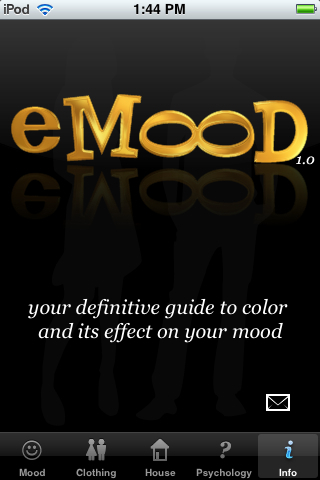 Based on years of studies in color therapy, get the most accurate mood calculator/enhancer available. 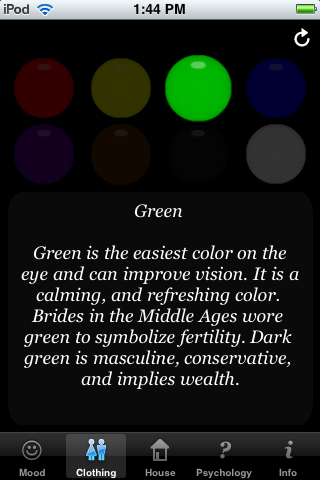 eMood is the definitive source for color/mood management on the iPhone. 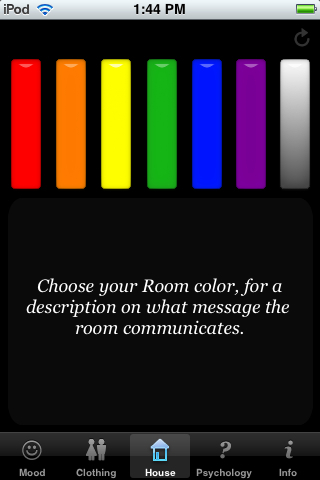 Use eMood to dress up for a date, set the tone in certain areas of your house, and to aid in choosing color schemes for all your logo/website/(insert anything you like in here!) designs.